Friends of Cozumel is an informal network of families, friends, colleagues, donors and volunteers who share a common interest in benefitting families in need as well as the broader community of Cozumel, Mexico. Support education and learning for youth and adults. We strongly believe in providing developmental opportunities so people learn to help themselves. Benefit families and individuals who need assistance. Benefit the community by sponsoring projects related to the environment, health and safety, culture, etc. 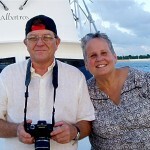 The Pedersens’ passion for frequent visits to Cozumel begged the question “Why not live and retire in a place you love?” They purchased a home on the island in 2001 when Karen retired from corporate America, refocused her energy on community service and began commuting between Des Moines, Iowa and Cozumel. Karen and Larry now spend 85% of their time on the island in various volunteer roles. Karen identifies needs of local families and non-profit organizations that serve children and families; connects visitors and resident supporters interested in helping the community and coordinates community service activities. She and Larry organize Friends of Cozumel mission project weeks; administer donations consistent with donors’ intent; promote volunteerism and develop local leadership skills. Larry also loves to use his woodworking skills to build needed items for organizations and families. He’s often the project manager for volunteer construction/repair activities, the “go to” person for hard-to-find resources. In addition to providing technology support for FOC, Larry writes contemporary Christian music and plays the keyboard. The Pedersens enjoy scuba diving and traveling. 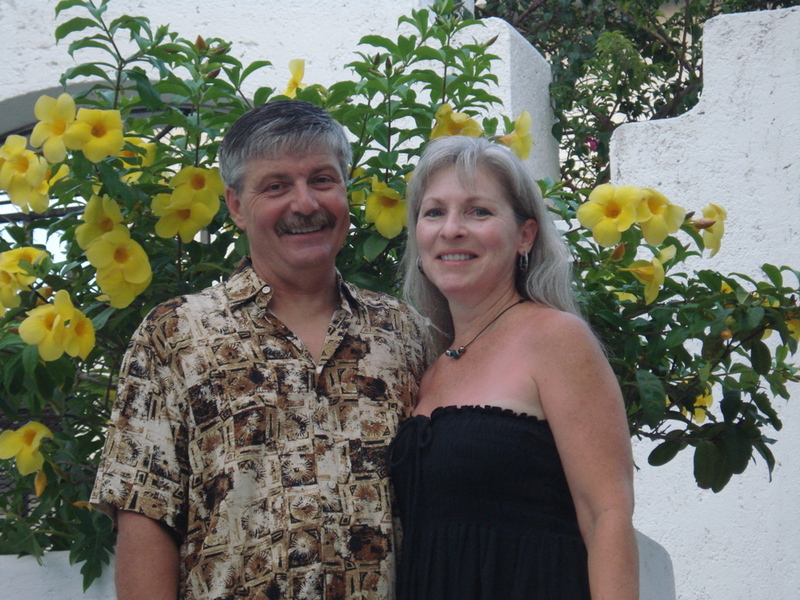 The Larsens started visiting Cozumel in the 1980s for scuba diving. The beautiful reefs; warm, clear sea and even warmer hospitality of island residents kept them coming back. It didn’t take long to learn that if you go to Cozumel to vacation AND volunteer, it’s easy to rationalize multiple trips per year to help with FOC projects. 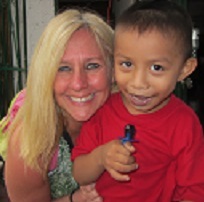 When not in Cozumel, Phyllis teaches at the University of Nebraska and lends her public relations and communications expertise to promote FOC efforts and benefit the non-profit organizations we support. Gary helps with building projects as well as sharing his love of contemporary Christian music. They rival any “Sherpa” team worldwide, having packed and schlepped literally thousands of pounds of donated goods from their home in Lincoln, Nebraska to the island in recent years. The Larsens have recruited their extended family and friends visiting the island to participate in community service activities and they regularly help host visiting donors. Decades of practice qualifies the Larsens to serve as your work/play consultants to help you rationalize a trip to Cozumel–and get involved. Byron lends his construction and repair expertise to building projects. He has a special interest in providing children Christian learning materials to support local youth ministries. Byron enjoys taking digital photos and is usually surrounded by Cozumel children eager to see his pictures. 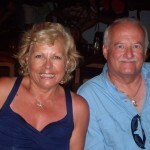 Ray and Sandy Ham’s journey to Cozumel began with a high school graduation trip to Cancun for their daughter Toni in 1990, that included a day trip to Cozumel. They began coming to the island once, twice, three times a year after that and fell in love with the people, the beautiful Caribbean and the astonishing world of diving. The Hams began construction of their home on the Island in 1998. 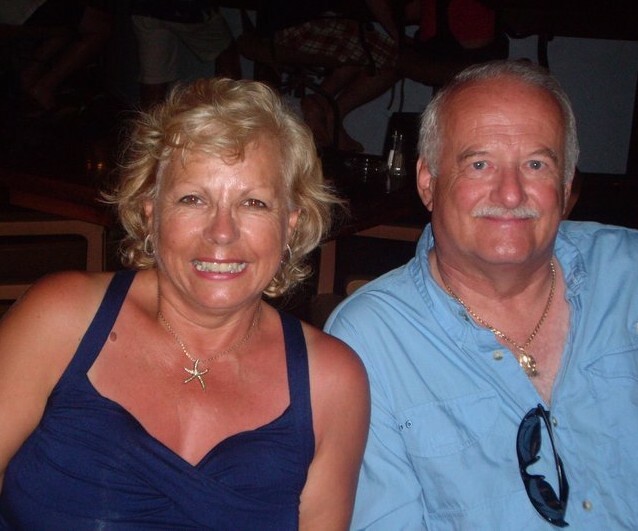 Ray retired from the Transportation Security Administration (TSA) and Sandy as Administrator of The Kinsey Institute at Indiana University and they made their move to full time retirement on Cozumel in 2004. 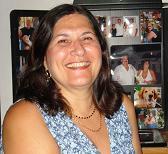 Sandy has been involved in non-profit and volunteer activities for more than 25 years in the U.S in addition to community service efforts since relocating to the island; consequently she and Ray have become deeply committed to helping the community, especially the children in need. With a lot of construction experience under their belts (including personally designing and constructing a two-story addition to their home in Indiana), they enjoy the hands-on work needed in many of the projects. As full time residents, they are happy to provide connections to new friends and resources, and help expand the reach of the Friends of Cozumel. 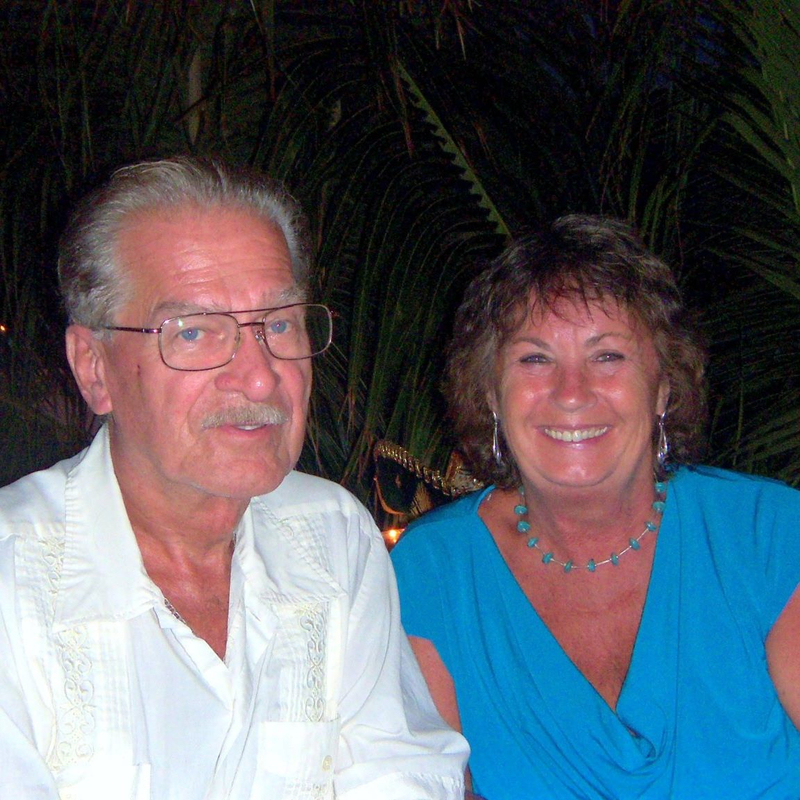 April Koss DiPasquale and her husband Bob first visited Cozumel nearly 30 years ago on the recommendation of a travel agent. “We were here only 24 hours before we bought a time share. We knew we wanted to come back often,” April said. After retiring, they decided to live on the island full time and began volunteer work in the community. While April claims she “doesn’t do projects,” she does bring considerable talent to Friends of Cozumel efforts. Her philosophy is “feed them well and they will come back.” Her passion for cooking translates into wonderful meals and “happy hours” for our volunteers. They describe her as a wonderful hostess and the fuel of our engine. April finds her cooking inspiration in the stores and markets where the fresh produce is as colorful as any Diego Rivera mural. And her food is just one way of reaching out to friends in Cozumel. 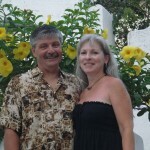 Mike and Susan Beech hail from Vancouver British Columbia Canada but moved to the island several years ago after visiting on dive trips. They’ve been part of the Friends of Cozumel group ever since being pulled into the vortex by Karen Pedersen to help deliver Christmas hampers and gifts to various families. Mike enjoys taking photos and providing transportation for families during various FOC events. Formerly an electrical contractor and a business owner, Mike is one of the friendly faces to look for when dropping off school supplies or backpacks on your cruise ship visit to Cozumel. Otherwise, you’re most likely to find him on the golf course or in a dive boat. Susan enjoys the hot but rewarding job of FOC’s July school supply distribution. After serving as a family counselor for 18 years, she switched gears to coordinate Cozumeltours.com and is also a certified tender operator for the Hyperbaric Chamber to assist divers with decompression illness. Both Beeches are strong supporters of the Friends of Cozumel programs and we appreciate their can-do approach to making things work. Loke Sargent and her daughters, Sarah and Mary, started visiting Cozumel in the late 90’s when the girls were young. They fell in love with the sun, sand, ocean and island life. A few years later Loke purchased a condo in anticipation of being an empty nester more island time availability. She currently splits her time between Park City, Utah and Cozumel. Loke and her family have always been interested in community service, so Friends of Cozumel was a great fit. She has volunteered in her church, school district, nonprofit boards, the domestic violence shelter in Park City and is pursuing her Masters in Community Leadership. Her daughters have done extensive travel and humanitarian work in Central and South America as well. Loke is the manager and owner of Low Key Investments LLC but also loves to volunteer for FOC projects that focus on support of children or family sustainability. 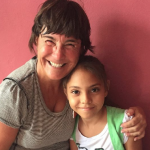 With the help of her business partner, Adrian Angulo, she helped develop a partnership between Operation: Cozumel Backpacks/Shoes and FOC in 2015. Check out their efforts on Facebook. 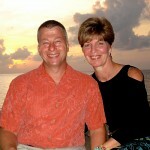 Kristin and Bill Bowen and their children Sara, Mandy and Jake have been coming to Cozumel for many years. It began with a one-day stop on a cruise. The friendly people, the diving and the beautiful sea kept them coming back. Exploring the non-tourist areas of Cozumel and seeing the needs of the local people inspired Kristin to do an Internet search for volunteer opportunities to serve. That’s where she found Friends of Cozumel in 2011. After several email exchanges with Karen Pedersen, she was hooked. Kristin helps with a wide variety of FOC projects, usually with camera in hand trying to capture those classic moments of volunteers at work. 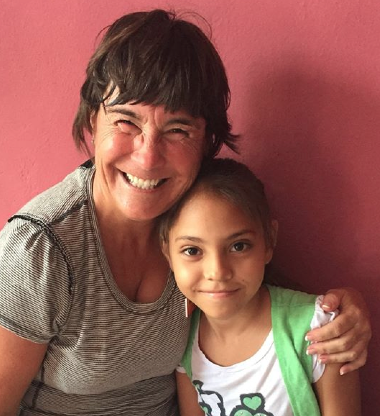 She has helped with gardening, recycling and the school backpack program and holds a special place in her heart for the children of Cozumel and Vida Abuntante Church. Kristin and Bill reside in Greensboro, N.C. where they co-own Global Crane Services. The nest is now empty leaving Kristin and Bill with more time to serve others and pursue their love of diving , sailing and family time. They’re always searching for the next adventure, seeking opportunities to give back and hoping to change a life. If you would like further information about “Friends of Cozumel” you may contact us by emailing Karen Pedersen: karen@friendsofcozumel.com.